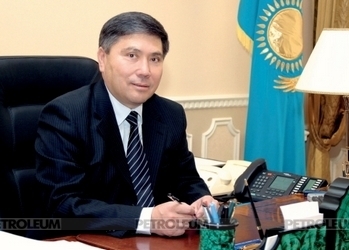 Mr. Uzakbay Karabalin has been appointed to the post of the Minister of Oil and Gas Industry of the Republic of Kazakhstan by Decree of President of the Republic of Kazakhstan Mr. Nursultan Nazarbayev. No special introduction is needed for such a well-known and reputable person in oil and gas community like Mr. Karabalin. As full description of his professional biography would require a number of pages we will only say that in different periods Mr. Karabalin used to be at the head of such companies as Kazakhoil, KazTransGas, KazMunayGas, Mangystaumunaygas, and Kazakhstan Institute of Oil and Gas. On the eve of 20th anniversary of Independence of the country Mr. Uzakbay S. Karabalin was awarded with a honorary degree of «ҚазақстанныңЕңбекЕрі»as well as the Golden Star and Otan Order for spectacular professional achievements and contribution to economic development of the Republic of Kazakhstan by Decree of the Supreme leader. 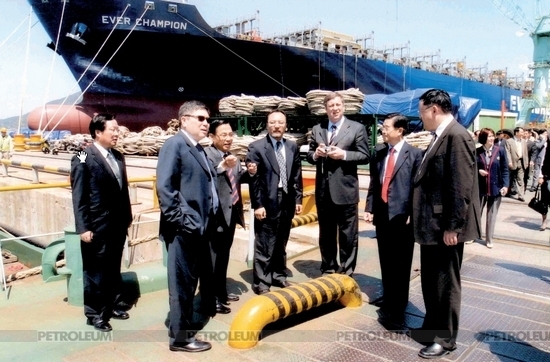 To-date he is the first and only oil industry worker who was awarded with such honors. A few years earlier he was awarded with «Kurmet», «Barys», the third class orders and a few medals as well as public Russian award – «Leader of Russian Economy» Order. Mr. Uzakbay Karabalin is awarded with honorary degree of «USSR High achiever in mineral prospecting», and «Honorary Prospector for Mineral Resources of the Republic of Kazakhstan». 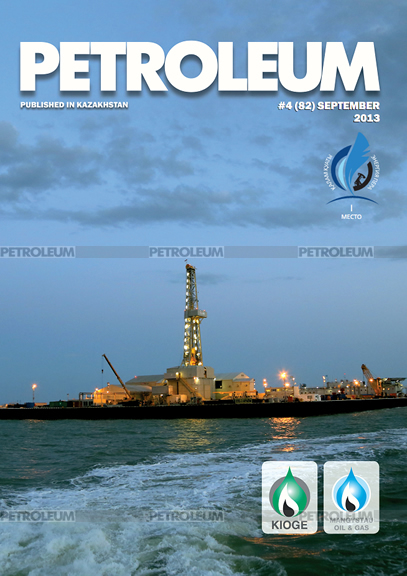 In 2010 Mr. Uzakbay Karabalin gave an exclusive interview to the Petroleum journal. However it was not speech written by press-secretaries as it sometimes happens with top level officials. The text of the interview reflects his own words, thoughts and stand in life. Today after this new designation it seemed to be interesting to us to publish some extracts from that interview which will help us understand what it will be like, the leadership style of the new minister. «As a matter of fact I am an advocate of governmental participation in larger oil and gas projects. I believe that Kazakhstan should have an opportunity to control a project and contribute to project management and decision making both externally and internally. This will by the way create a benefit for not only the government but the project itself and all its members due to acceleration of all the processes. Just imagine: following initial discussions of some plans by all the shareholders without participation of any representative of Kazakhstan a decision is finally made including financing issues and then it is brought to an authorized body where they are told that their decision does not correspond to interests of the government which means that the whole process should be reproduced from the very beginning, doesn’t it? Who will want this? This is what we call “horning of a calf with an oak tree”. If KazMunayGas were involved to the project then all national interests would be declared at initial stage of the first discussion and the decision brought to the authorized body might give rise to minor but not principal objections». «Exploration of oilfields is a big and challenging task which requires considerable financial costs and most importantly a unified policy and program approach should be in place for prospecting of mineral resources on a national scale. I am absolutely convinced that geology science should be supported by the government and special programs for development of geology and geophysics are needed. Kazakhstan was always renowned for its outstanding geological school which we are unfortunately losing day by day. There are still some distinguished scientists and practitioners in this field in Kazakhstan but number of these people is decreasing. Geology as an industry which aims for future should be developed not only within private companies but also financed from the national budget and supported by the government. Large-scale geological explorations are needed in Kazakhstan as we have discovered not all of the mineral resources but these long-term research activities can be organized and financed by government only. Therefore I believe that availability of an agency with appropriate authority and financial resources will create relevant influence on recovery of raw materials supply as a basis for further sustainable economic development of our country». «I am professional oil industry worker and this does not make me worry at all. First of all today up to 22% of oil is extracted by Chinese companies operating in Kazakhstan and 28% by KazMunayGas. Secondly, the oilfields owned by Chinese companies are mainly overdeveloped and for this reason their share in total volume of oil production in Kazakhstan will decrease. Thirdly, Chinese business brings investments so why we should we reject them? Fourthly many citizens of Kazakhstan are employed at these oilfields and KazMunayGas which controls compliance with national interests is involved to almost all the projects. For some reason everybody says that Mangystaumunaygaz was bought by Chinese business. But KazMunayGas still owns 50% of shares! Quite the contrary, we prevented acquisition of 100% shares by Chinese investors. Let us believe that the glass is half full but not empty. An issue of Chinese expansion to Kazakhstan is greatly politicized. It seems to me there is no danger – this matter was resolved long time ago in such a manner that no foreign company either from China or other country will be able to play decisive role within oil and gas sector».